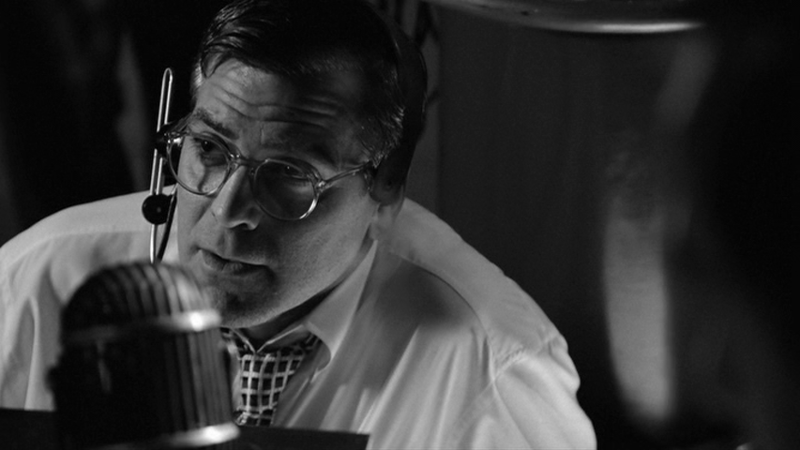 I never expected to see the beauty of George Clooney eclipsed by another actor onscreen. And particularly not by an actor who is intense and interesting rather than classically handsome. 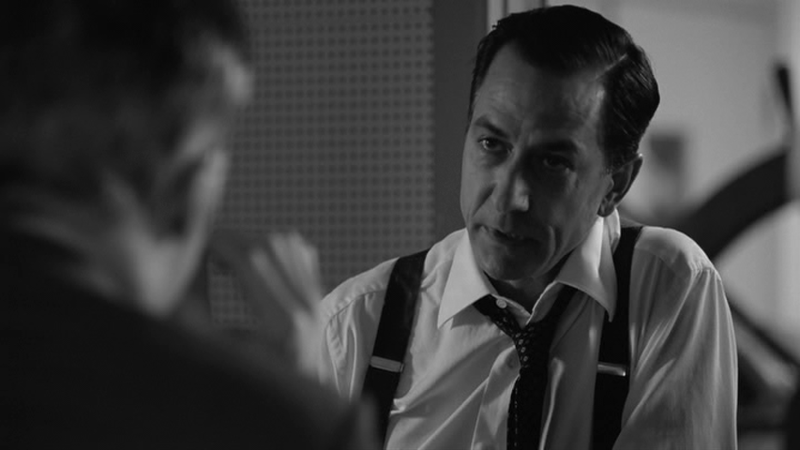 But so it came to pass, when I laid eyes on David Strathairn as Edward R. Murrow in Good Night and Good Luck, directed by… George Clooney. 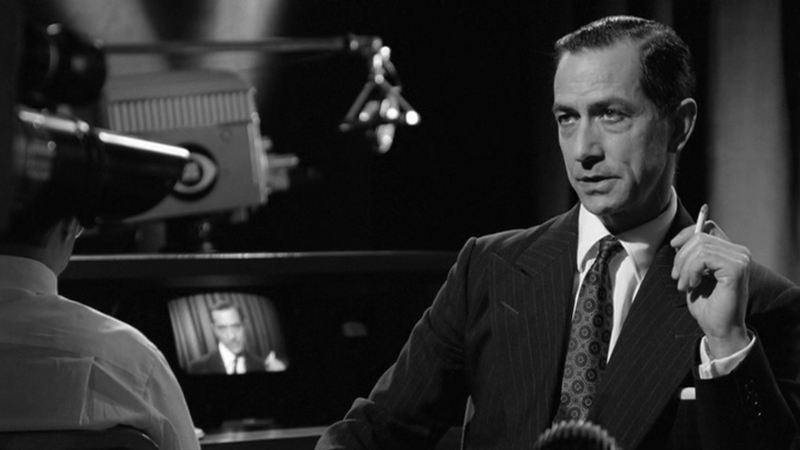 David Strathairn as Edward R. Murrow, looking very Gary Cooper! Screencap by Linnet. The moment the first strains of “When I Fall In Love” were heard over the opening credits, I knew I was going to adore this film. The soundtrack is provided by a jazz singer and quartet that seem utterly authentic to the mid ’50s. 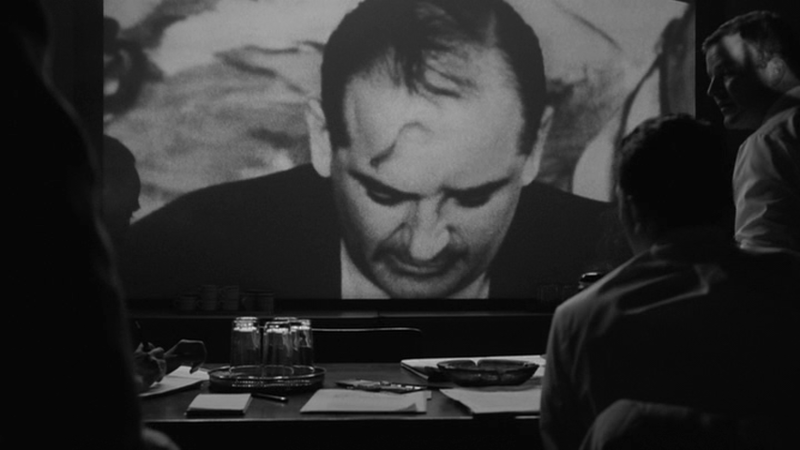 Murrow believed that television insulated American viewers from “the realities in which we live.” During the opening scene of the film, at a dinner in his honor, he says, “We are currently wealthy, fat, comfortable and complacent. We have a built-in allergy to unpleasant or disturbing information. Our mass media reflect this… Television, in the main, is being used to distract, delude, amuse and insulate us.” Sound familiar? What, I wonder, would Ed Murrow make of today’s horrific, partisan pseudo-journalism, where few stations (on radio or TV) even aspire to the integrity and intellectual honesty of which he set such a shining, uncompromising example? What would he make of a world where the dissemination of actual ideas runs a very distant second to videos of cute kittens? He was never without his cigarette, even on camera. Murrow had an illustrious radio career before he was hired to run the CBS news team. He made his name reporting on the Blitz from London. During the war, Londoners used to wish each other “Good night and good luck,” in recognition that they might not live to see the next morning. Murrow used the line at the end of a broadcast, and it stuck. 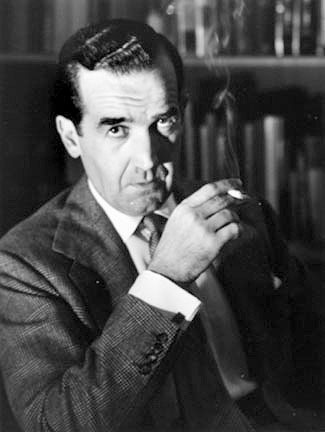 Edward R. Murrow (born Egbert Roscoe Murrow in 1908). Click for source. Yeah, he comes off as a serious kind of guy who wouldn’t have much time for Game of Thrones, video games, or 99% of what most of us enjoy in our spare time. I can’t help but wonder what he did in his spare time (besides drink Scotch). It goes without saying that he smoked, but that wasn’t in his spare time. It was ALL the time. He went through about 60 cigarettes a day, and died of lung cancer at 57. In spite of this horrific truth, I love the way he held a cigarette. Murrow and his cigarette. Notice the suit and the beautiful cuffs on his shirt. Click for source. 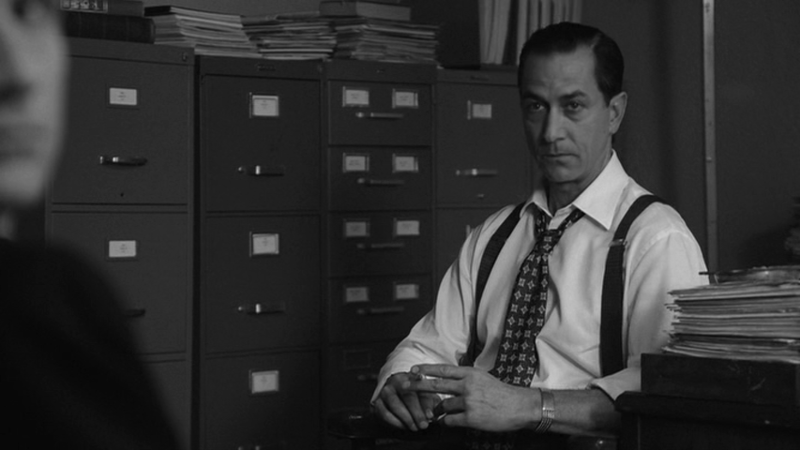 Strathairn’s suits in the film are stunning, as are his shirts with gorgeous French cuffs and cufflinks. 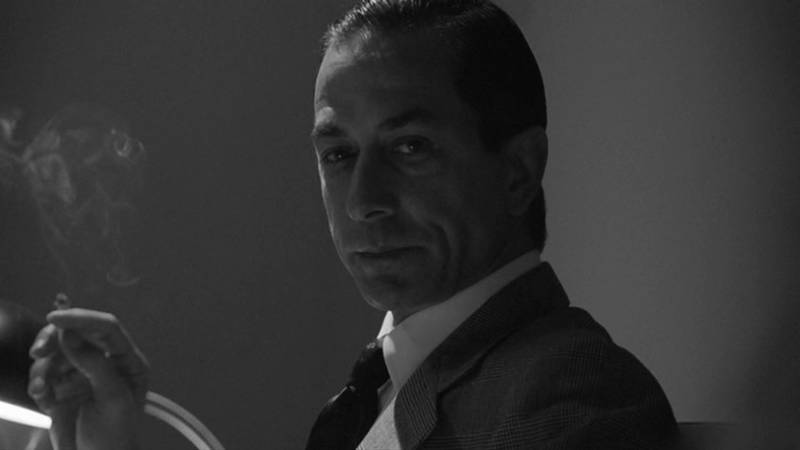 In the film, Strathairn all but makes love to his cigarettes. It’s irresistible. Check out the hands. And the suspenders, OMG. Click to enlarge. More Gary Cooper voguing. His face is not perfect like Cooper’s, and his eyes are brown not blue, but there’s something about him… maybe it’s the moral ideal of the characters Cooper played. 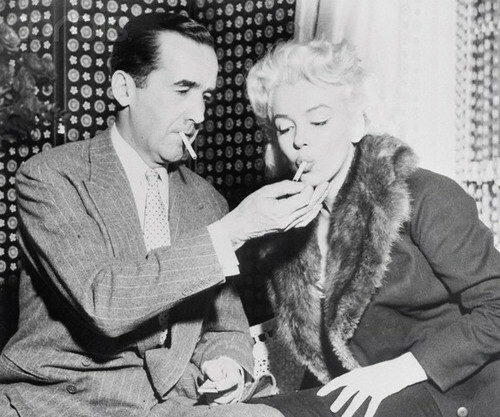 Murrow lights a cancer stick for Marilyn Monroe. We proclaim ourselves, as indeed we are, the defenders of freedom, wherever it continues to exist in the world, but we cannot defend freedom abroad by deserting it at home. This is about as good as Clooney ever looks in the film. He dressed in baggy clothes and gave himself big ugly glasses. He may even have gained some weight… He plays Fred Friendly, Murrow’s producer at CBS news. The junior senator from Wisconsin. He died in 1957 at the age of 48, after being formally censured by the Senate. 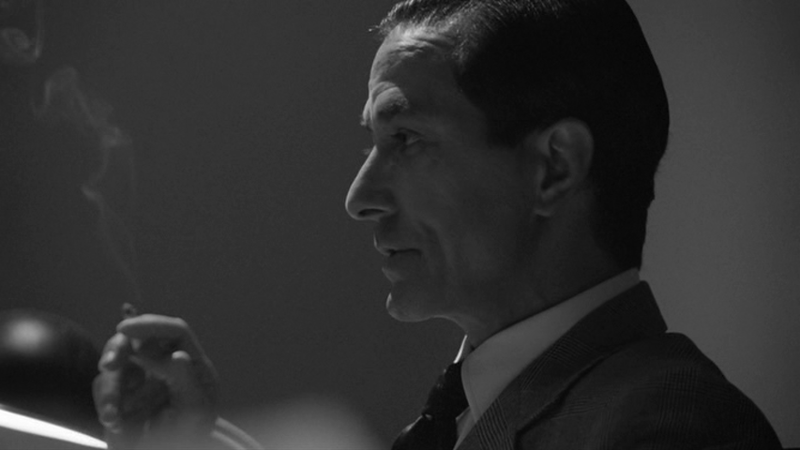 We saw David Strathairn on stage in NYC in early 2013, when he played opposite Jessica Chastain in The Heiress. He was fantastic. 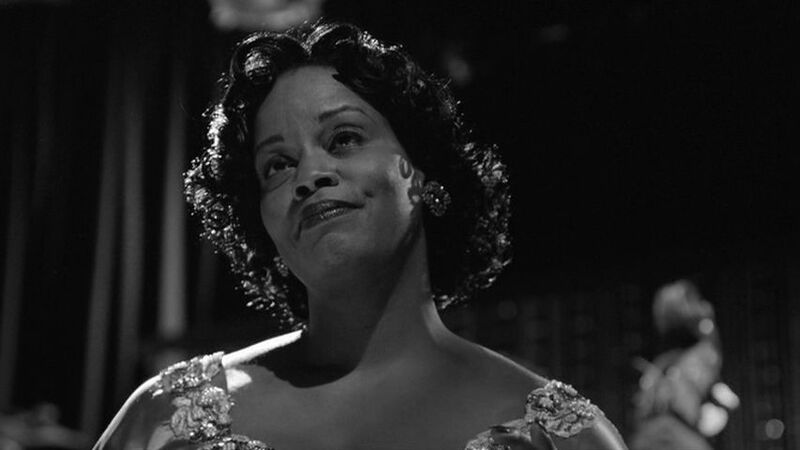 She was okay–her acting chops onstage don’t equal her abilities on film. Oh yes, Robert Downey Jr. is in it too. But I hardly noticed because I was too riveted by George and David. Thanks for making my evening, Beautiful Men! I would love to “Learn Calculus With Ciaran.” It would take no less than David Bowie for me to learn Trigonometry. My favorite film featuring Strathairn is Sneakers (1992). Thanks for the tip! I’ll have to check it out! This was a really great film. I like David Strathairn and think the Oscar nomination was well-deserved. I just checked his page on IMDB and was delighted to learn he will be in Godzilla – and not a little surprised that he showed up in a few episodes of The Sopranos. 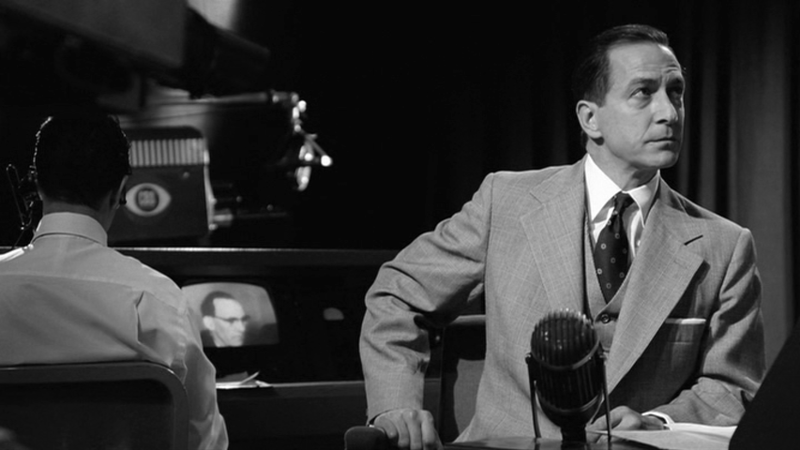 And Edward R. Murrow – well – just about every journalist’s hero. He was in the Sopranos? Wow. I’ll have to check it out. I watched the first season but don’t remember him. It got a little too much for me after that. He is like Ciarán Hinds, a great character actor who can disappear into the role. Exactly, and I can’t remember who he was either. I was leaning towards the soccer coach, but now I think maybe he was the guy in the first season who had the gambling problem. From IMDB, it looks like he was the soccer coach in Season 5. No wonder I don’t remember him! I watched a few episodes of a show called “Alphas” where he was the mentor of a bunch of people with superpowers. He was good, but the superhero thing did not hook me. Such a fabulous film, Linnet. Filled with cool, collected and classy folk. And now I certainly wouldn’t mind seeing it again after your review. Great film. An amazing and brave thing to happen at such a time. McCathyism and the witch hunting was at its peak. So much damage had already been done. Makes me wonder what the world would be like today if we hadn’t had a Murrow on television. 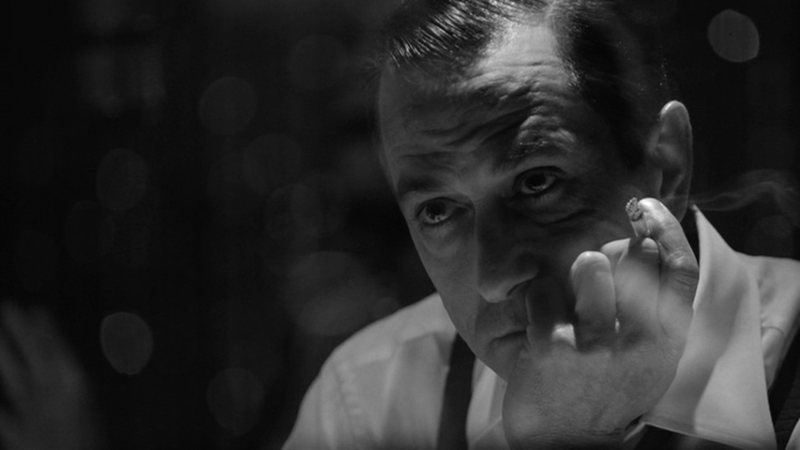 David Strathairn had already won me years ago (Delores Claiborne – so evil, The Firm – so much charm, Sneakers – so funny, LA Confidential – not much of him, but perfect casting still) so him as Murrow was an easy sell for me. Seeing him onstage must have been quite a treat indeed. That’s a shame. I like Dan Stevens, but that sounds like the audience was not being fair to the other cast. Anyway, I hope they were fairly mild about it. Straithairn as Pierce Patchett – a very slick character. But LA Confidential is definitely one of those must sees for the sake of the entire cast. You watch The Mentalist at all? This is early Simon Baker also. 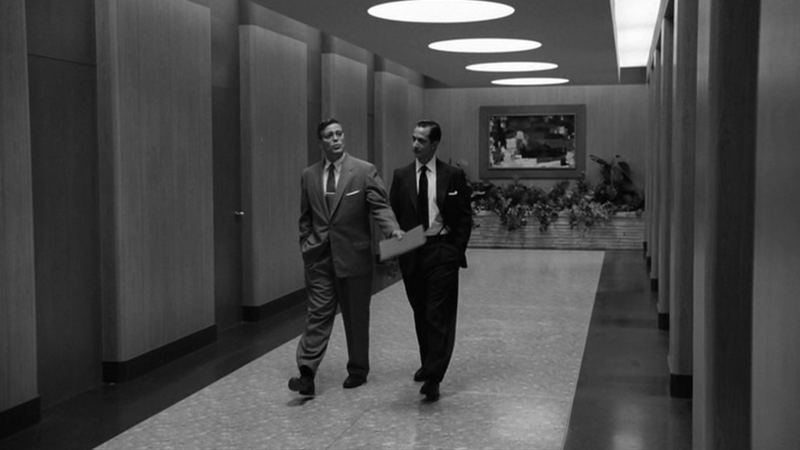 The Firm is a fun watch, I thought, and has a better, more feasible, ending in the movie than in the book, which is rare. Straithairn is super charming. 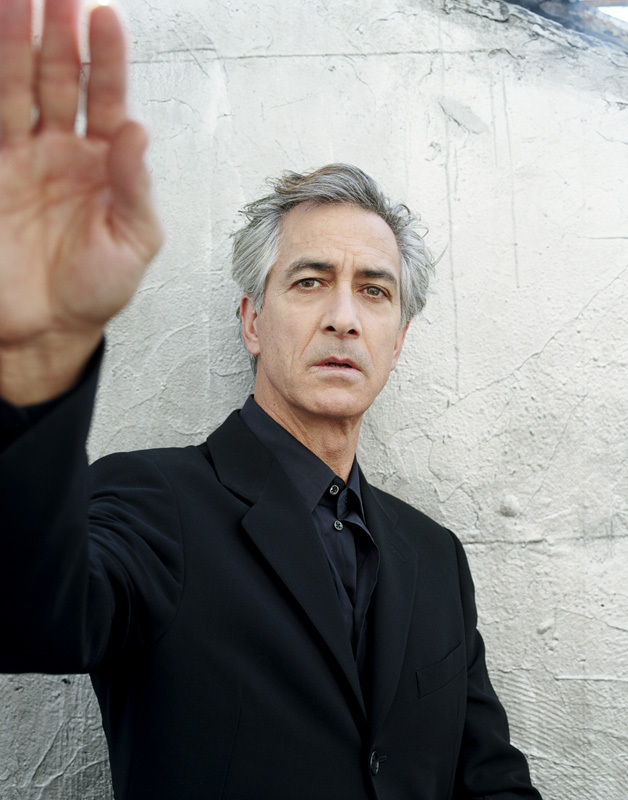 Well, I dreamed about him last night, so I take that as a sign that I need to watch more David Strathairn movies! I’ve not seen “The Mentalist.” I’ll have to check it out!